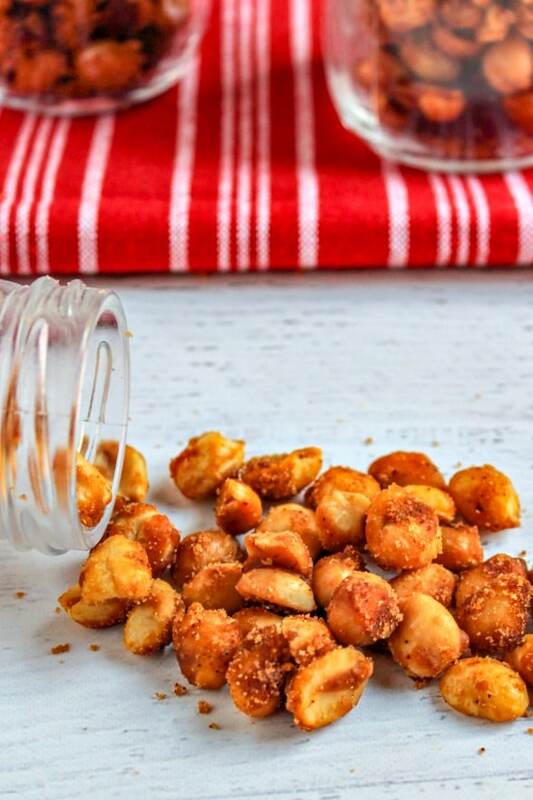 The combination of sweet brown sugar and Sriracha sauce give these Slow Cooker Sweet and Spicy Peanuts an amazing flavor that is seriously addictive! Sometimes you just need a good snack. 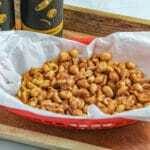 Something that you can munch on while you’re watching a good movie or the big game and these Slow Cooker Sweet and Spicy Peanuts are perfect for just that. With the holidays approaching I’m always looking for fun homemade gifts I give to the special people in our lives. I often like to make something like Slow Cooker Sweet and Spicy Peanuts or these Toffee Candied Peanuts as a gift for a friend or co-worker. To make these candied peanuts measure and pour three cups of dry salted peanuts into the bowl of your slow cooker. Then in a bowl whisk together Sriracha sauce, brown sugar, chili powder, and hot water until well combined. 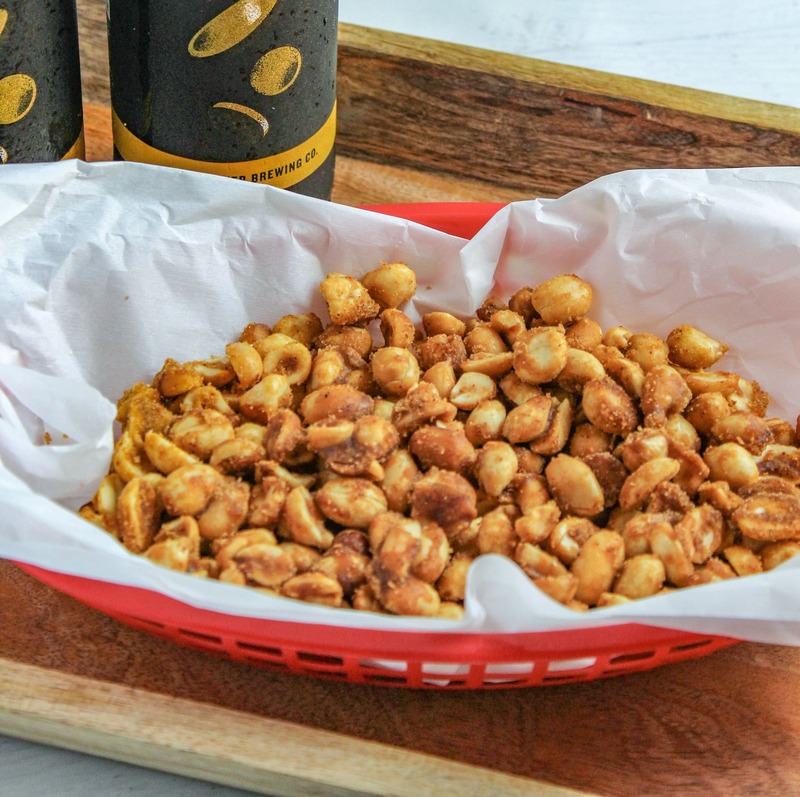 Pour the mixture over the peanuts and toss together to coat throughly. Set the slow cooker to low and cook for 90 minutes. 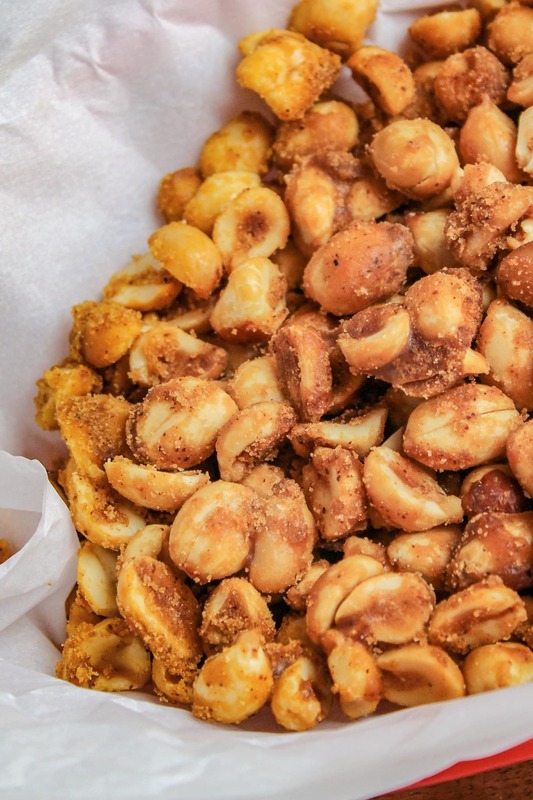 At the end of the cooking time use a spoon to scoop out the peanuts and spread them out on wax paper or parchment paper. Be sure to use a spoon the peanuts will he hot to the touch and you don’t want to burn your fingers. Once the peanuts are cooled and the coating has hardened they are ready to eat. These peanuts will keep in an airtight container for about a week. If you want to give these peanuts as a gift just fill a mason jar and add a decorative ribbon or gift tag. 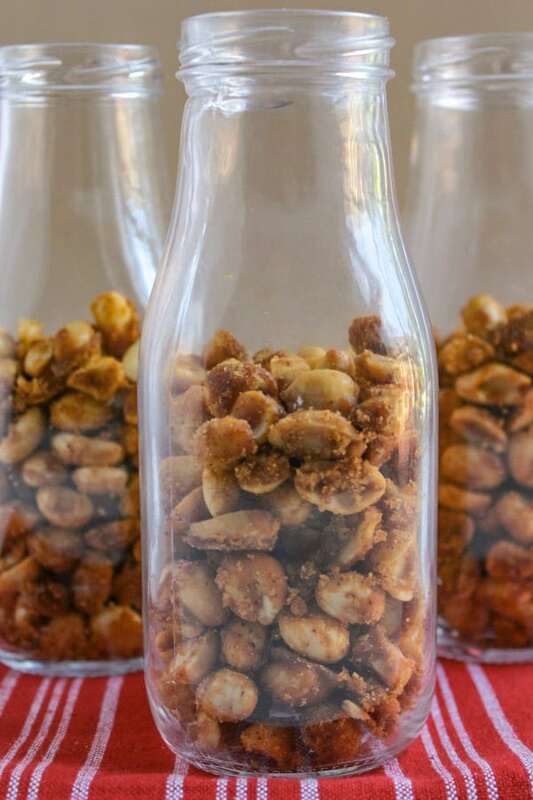 A simple home made gift like these Slow Cooker Sweet and Spicy Peanuts is a great way to add a personal touch when gifting a gift card or money.